JESUS is everything to us! He is our friend, our advocate, helper, counselor, lover, companion, keeper, master, strength, encourager, burden bearer, and our protector. He was that for the disciples and he had to eventually leave them… but He told them something that the Holy Spirit wants me to share with you today…. 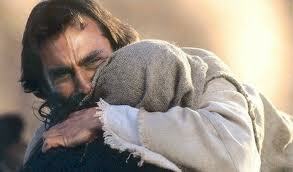 He gave the disciples and us………”ANOTHER COMFORTER”!!!!!!!! We have another comforter and Jesus. We have the Holy spirit living inside of us and we have Jesus. And God said He would love us, and they ( God the Father, Son, and Holy Spirit) will come to us and make their home with anyone who would love them and obey them. 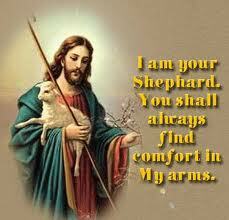 Jesus is a comfort!!! Do you have Jesus? Then you have also another comforter in addition to Jesus. 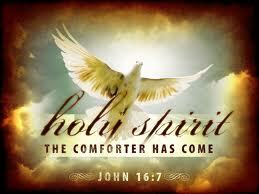 That other comfort is the Holy Spirit! In Jesus there is power in His name. The Holy spirit is power. God is powerful. All of this power is directed at us and is in us and through us. We are NOT alone in this life. Remember my New Year’s message said that this is a year to remember God’s promises? He promised another comforter. He didn’t lie…recieve Him…trust Him…look for Him…walk with Him! Message for today: You are not alone…know that! God bless you, Tanya, for this reminder. I agree with Debbie–it’s wonderful to be assured we have another Comforter! How great it’s to know we are not alone. Today, I was feeling alone, so thanks for reminding us that we have Him. How wonderful it is to be assured we have another Comforter! Who’d want to walk through this life without Him at their side? ?